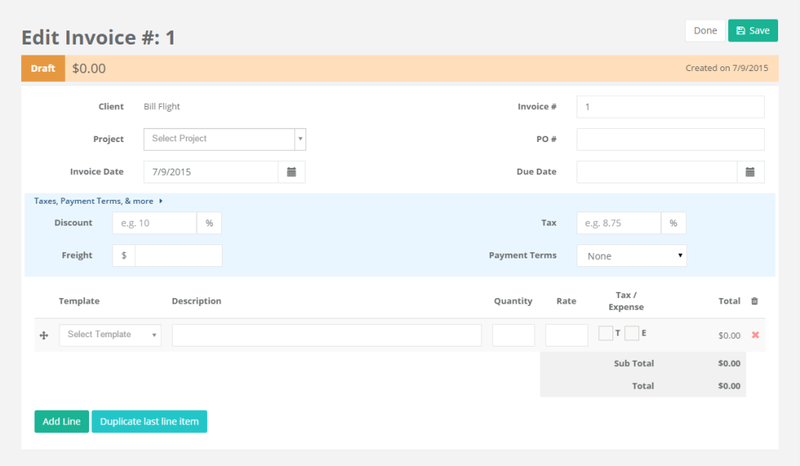 Creating a new invoice in Bill Flight is simple. Follow the step-by-step guide below to learn how to make an invoice in Bill Flight. You’ll be done in a matter of minutes! In the top navigation, select New → New Invoice. Click inside of the box that says Select Client to open up your drop down menu of clients. 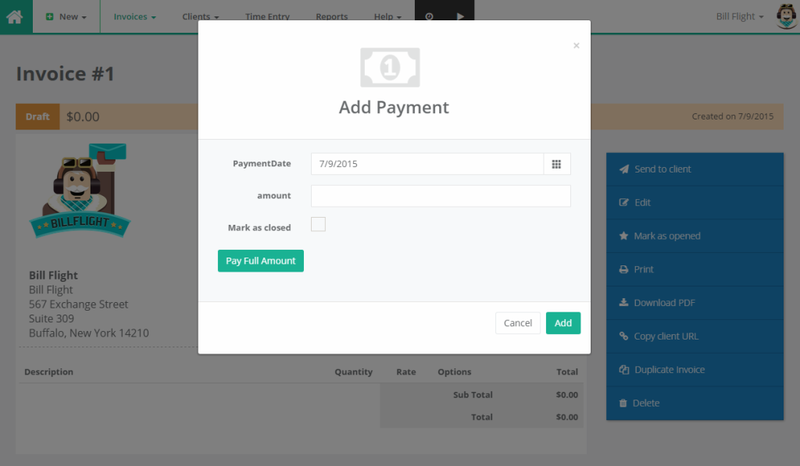 Select the client that you would like to create an invoice for. If you have not added any clients yet, click Add a Client towards the top right of the page, and return to this step once you have added your client. Here is where you’ll add all of the information that will appear on the invoice. 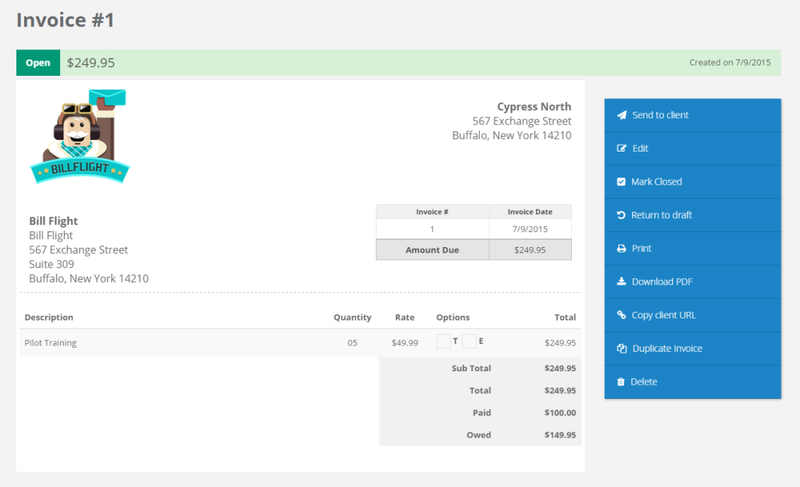 Expand the Taxes, Payment Terms & more menu to select an existing item template, or create one if you haven’t already. Enter all information applicable to the item being billed. Choose to duplicate the last item that you created, or add as many unique item lines that you need. On the same page, enter in any additional notes that you want to remember to take into account later. Once you’re satisfied with your invoice, hit Save! 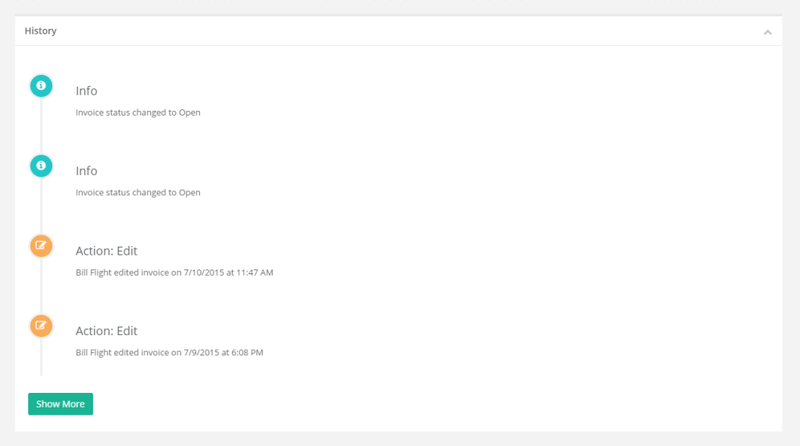 To view your saved invoice, click Invoices → Invoices in the top navigation. Select the invoice that you’d like to view. Here, you can send your invoice to the client, edit it, download it as a PDF, duplicate it, or delete it. Scroll down to review any notes that you made earlier, and view payments. Click Add to record a payment from the client. Once you add it, the Paid and Owed amounts will adjust accordingly. You’re all set! Scroll down to review the history of all account activity. There is nothing to install and no credit card required. What is there to lose?